For the hard of hearing, being unable to hear what's going on around your house is a very real issue, and it can make it difficult to keep in touch with friends and loved ones. 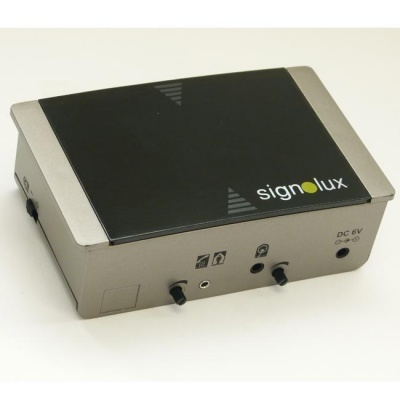 A great addition to any Signolux system, the Signolux Audio Universal Transmitter detects sound and enables hearing impaired individuals to keep closer track of what's going on in the home. The included disk sensor attaches on to almost any sound-generating device such as a telephone or a doorbell, and will monitor and detect any sound it produces. 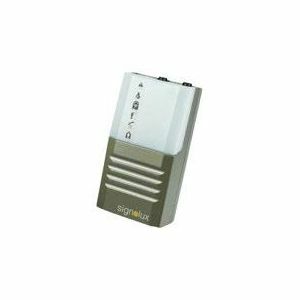 This causes the transmitter to alarm any and all Signolux receivers in range. A sensitivity adjuster enables you to reduce the effect of background sound on the disk sensor by setting the transmitter to only pick up relevant sound levels. This helps to reduce the risks of false positives and accidental activations so you can be sure that every alert is genuine. Please note: only one connection can be used per transmitter at any one time. 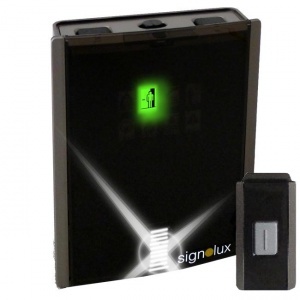 Additionally, this product requires a Signolux receiver such as the Signolux Visual Signal Alert System Receiver to function, and will not work as a standalone item.